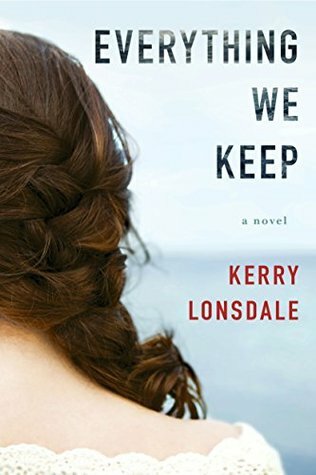 A luminous debut with unexpected twists, Everything We Keep explores the devastation of loss and the euphoria of finding love again. I was a little cautious going into Everything We Keep because I wasn't too keen on the first novel I read from Kerry Lonsdale, All the Breaking Waves. Thankfully, her debut novel has all the fire and suspense I felt was lacking in her second novel. It's the kind of heartbreaking read fans of Emily Colin's The Dream Keeper's Daughter and Kristin Higgins' On Second Thought will love. The story immediately thrusts readers into Aimee Tierney's grief filled day when instead of saying, "I Do," to her childhood sweetheart, she watches as he's lowered into the ground. James and Aimee seemed to have been made for each other, but the trials of life ended their forever before it truly began. Or did it? A mysterious woman claims that James is still alive. While her friends and family pressure her to move on and figure out who she is without James, she can't leave those words, or James behind. Everything We Keep follows Aimee as she learns to be her own woman while searching for closure. Kerry Lonsdale allows readers to emotionally connect with her characters as their secrets are laid out for all to see. Everyone has something that drives them and adds to the story's layers. What's even better about this story is the continuation of these characters' lives unfolding in the sequel. After the bittersweet conclusion of Everything We Keep, Everything We Lost is loudly calling my name! JORDAN RECLAIMED Now on Sale!